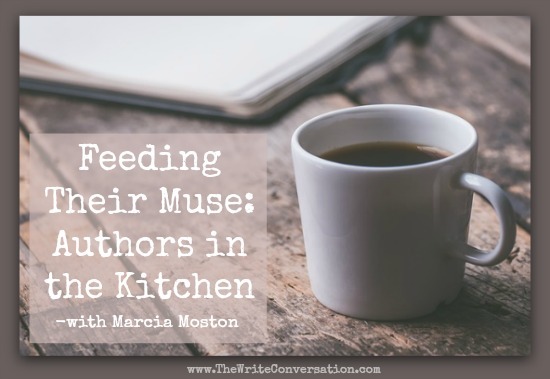 Since the main reference to food I hear from authors these days is chocolate, I was curious what the likes of Stephen King, Annie Dillard and “Dear Abby” had to say about feeding their muse. They didn’t disappoint. The book is as much a culinary delight of personalities as it is of recipes. Another poet and critic, William Jay Smith, went on record for “heartily disliking boiled cabbage,” but then proceeded to fill two pages with the history of sauerkraut, complete with recipe and a poem. Add one to the other. Some of the novelists reminded me of my fiction-writing buddies who chat with their characters as easily as they do with their real-life friends. Instead of the author contributing the recipes, their characters did. For example, mystery writer Sue Grafton said her private investigator Kinsey Millhone was thrilled to be asked to submit a recipe for her famous Peanut Butter & Pickle Sandwich, which specifically required Jif Crunchy Peanut Butter and Vlasic Sweet Butter Chips, or she couldn’t be responsible for the results of substitutions. Australian writer, Elizabeth Jolley, said she gave her mother’s recipe for Tinned Oysters in White Sauce to one of her characters, who assured her that it could be depended upon. Included with the recipe was a tip from Jolley’s mother about how to clean charred pans. She suggested they could be placed “tastefully in the sunny spots in the garden for a few days and the black simply lifts out.” Good to know. Anne Rice stuck with her vampire series by offering up Midnight Snack: One rat. One glass of champagne. With editorial precision, Jim Lehrer submitted clear, concise, straight to the point, instructions for North Texas Chili. Dr. Benjamin Spock, a pediatrician who turned strict child-rearing practices upside down, came through with, of all things, plain, ordinary, old-fashioned oatmeal. Stephen King must have taken advice from Dr. Spock because he shed his horror and put on his home-making face with a recipe his kids love: Lunchtime Gloop. Gloop calls for Franco American Spaghetti and cheap greasy hamburger, best served with Wonder Bread. King never makes it when his wife is home because “she won’t eat it, in fact, doesn’t even like to look at it.” He also contributed a recipe for basic bread. “Baking bread is one of the ways I relax,” he says. And he serves the kids Wonder bread? 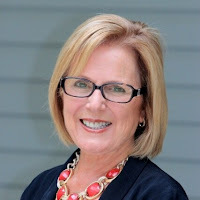 And last, Columnist Abigail Van Buren of “Dear Abby” fame spoke to the hearts of her lovelorn advice seekers with a recipe for, what else —Date Cake. But now I’m happy to say I look forward to trying new recipes. And with a cookbook headed up by such a litany of literary folk, I have a lot of choices—well, with a few exceptions. Sounds better than Spock's basic oatmeal, Jim. What a fun post, Marcia. Thank you.